Hello, Doodlebug friends. 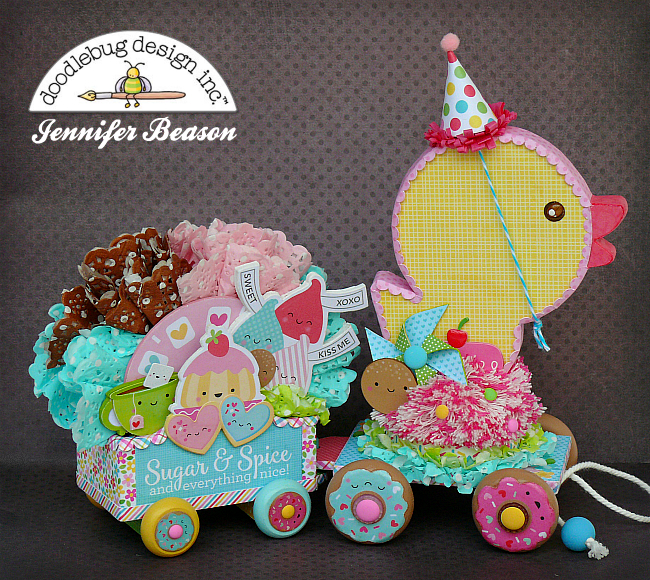 Jennifer here and today I am sharing a project featuring the new Cream and Sugar collection. It's true, this line is for Valentine's Day, but you'll want to use it for so much more. 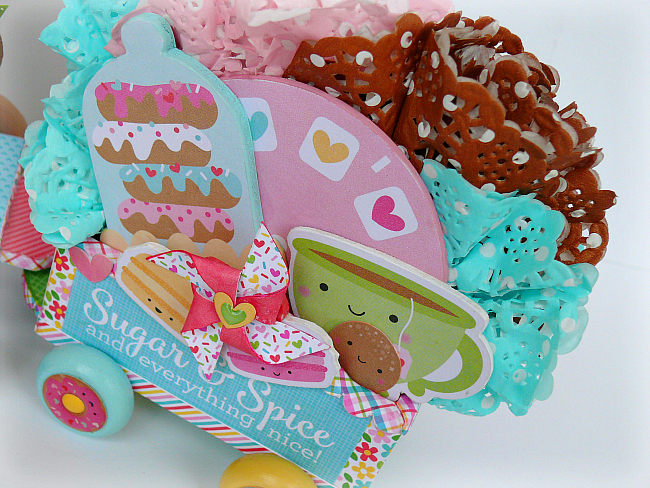 I was inspired by the "Sugar and Spice and everything nice" block from the 6"x6" paper pad, to create a decorative piece for a baby shower or first birthday. 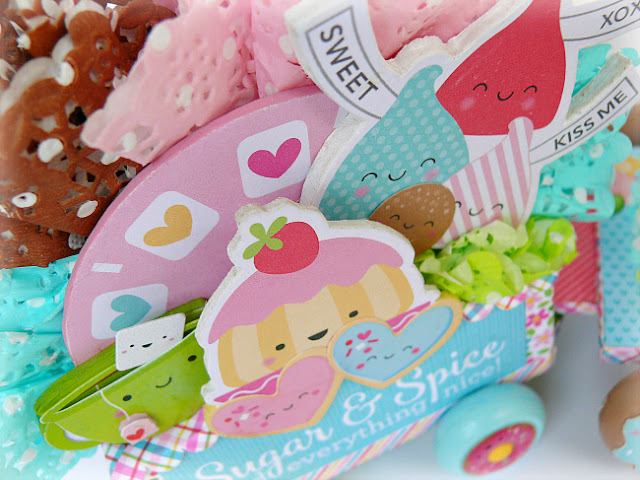 I covered the front and back of a wood wagon with the "Sugar and Spice" phrase along with other coordinating papers from the collection. 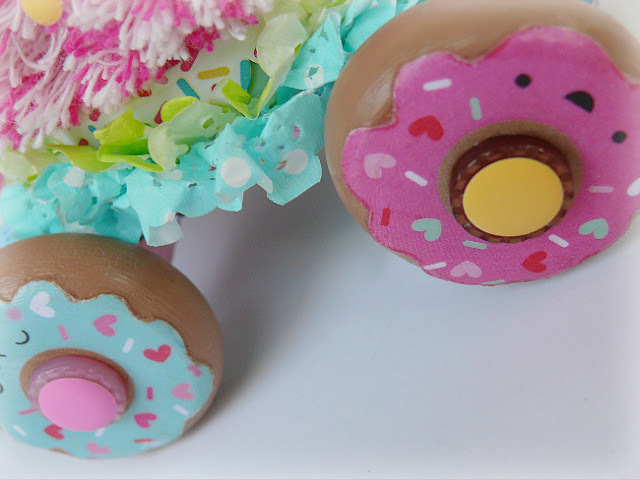 The wheels were painted, then matte and donut sprinkles were attached. The wagon was filled with some fun die cuts and stickers, that I reinforced with chipboard or foamboard, depending on what thickness I wanted. With the die-cuts on each side of the wagon, I needed something else to fill it with. Some coordinating doilies, did the trick. The rubber duck is a DB cutting file. I used my Silhouette to cut out a template of the duck and then used it to trace the image on 1/2" thick wood. 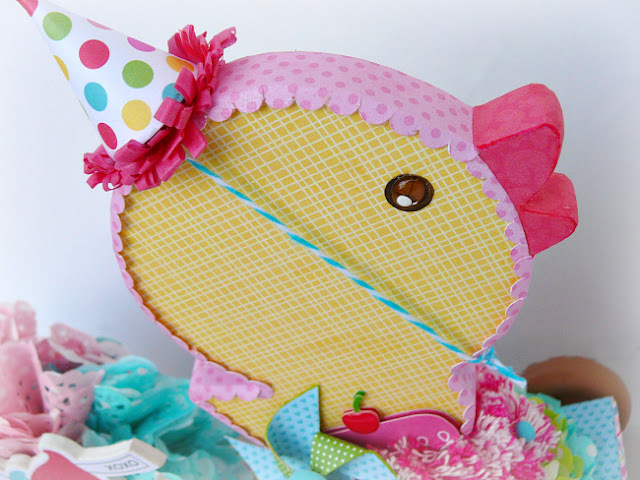 Once cut out, the duck was covered with patterned paper. Keeping with the theme of the collection, I made a cake platform for the duck to sit on. 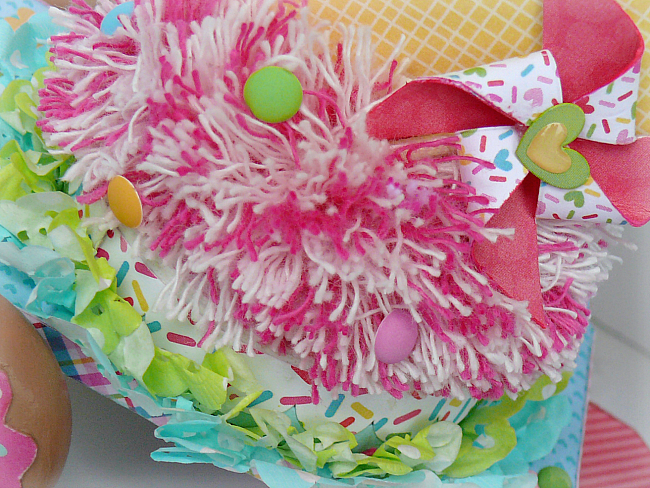 The "cake" is made from a large twine pom-pom and wood circle that was covered with a sprinkled scalloped border sticker. Once again you have outdone yourself!!! So sweet!!! oh my goodness--that is absolutely adorable!! Wowsers! This is just amazing!! So cute! Love the pom pom made from twine!